"I'm always reading for pleasure except when I don't have it." 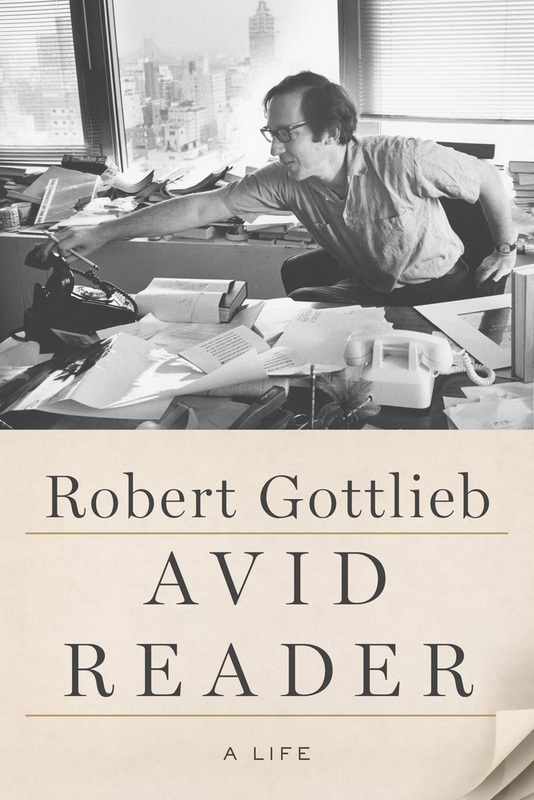 --Robert Gottlieb, former editor-in-chief of Simon & Schuster and Knopf, former editor of the New Yorker and author of the new book Avid Reader: A Life (FSG), responding to a question on the Leonard Lopate Show about whether he read for pleasure in addition to reading for work. 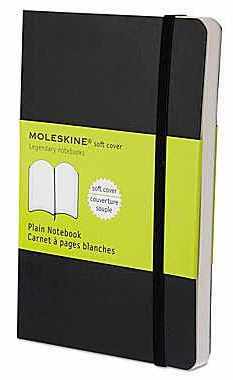 Belgian luxury car importer D'Ieteren has agreed to buy a 41% stake in Moleskine, which manufactures a line of notebooks and other products that are popular sideline items for booksellers, "and will launch a mandatory offer for the remaining shares of the Italian company," Reuters reported. "Our ambition is to be able to help entrepreneurs while acting as a strategic sparring partner," said D'Ieteren CEO Axel Miller, adding his group was a long-term investor. "An aspirational lifestyle brand has been built and this is something we can bring to the next level." CFO Arnaud Laviolette said the group would seek to expand Moleskine's reach among a larger target group of urban, well-educated 18-50 year-olds, with some creative ambitions: "We believe there is much more potential in this market." At the Book Industry Study Group's annual meeting on Friday, a panel on "transformation in the industry" focused on digital transformation--and the consensus was that in key ways, the book industry's experience has been different from other cultural and entertainment industries such as music and the movies. The key reason: the nature of the book vs. other cultural and entertainment objects. Chantal Restivo-Alessi, chief digital officer and executive v-p, international, at HarperCollins, made some comparisons to the music industry, where she worked before joining HarperCollins four years ago. For one, in music there's much more piracy because of demographics--so many younger people don't have as much money to pay for music. In addition, many readers value "the physical product," which she called "a positive for the industry." The physical book is also valued by authors, she added, so much so that for authors, its arrival is "like having a baby delivered." John Ingram, chairman of Ingram Content Group, pointed out that book reading is not an easy "background experience... the need to be able to concentrate while reading makes us different." Restivo-Alessi said, too, that in the digital transformation the power of the backlist hasn't yet been fully exploited by the industry and that in an age when media and retail are more mobile, there are more ways "to serve authors in a more global fashion." 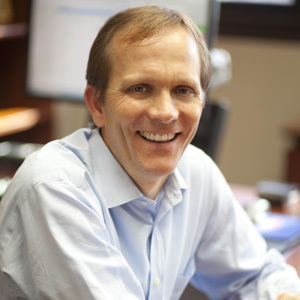 John Ingram stressed that transformation at Ingram isn't about "incrementalism." Instead "you have to be aspirational," which involves "setting targets you may never hit, but that's okay because you're likely to get so much further down the road." Fran Toolan, CEO of Firebrand Technologies, agreed with Ingram, saying that transformation "comes down to a point where you know you're doing the right thing and going in the right direction and the team is following you and everyone sort of gets it... It's all about getting started and not spending a lot of time looking in the rear view mirror at what you did wrong before." Restivo-Alessi recommended that in making big changes, "it's good to dream big, but it's important to break it down" so new directions are not overwhelming. Failure, of course, happens sometimes when companies make transformations because "you can't control every variable." The biggest difficulty, he continued, is when "you have the whole team behind you running in one direction and it's not the right direction." Then it's important to "admit you're wrong and take it on the chin and move on." At such moments, Restivo-Alessi said, companies, who are "constantly learning and readjusting," need to remember "your values, what your company stands for." (At HarperCollins, the company "stands for servicing authors.") If "you don't lose sight of that, all can be adjusted around it." Toolan also called for the industry to look outside the "bubble of book publishing" to find ways to reduce friction in the supply chain and marketplace. In addition, he said the book industry needed to "recognize that we are in fact the cultural foundation of so much" so that making it easier to "move books into other media" and places is a great growth opportunity. Restivo-Alessi added that at HarperCollins at least, the digital transformation has not been structured in a way that there is "digital media and then everything else." Instead, "everyone lives digital and understands that it's part of the day-to-day job." Also change doesn't end: "it's constant, which is exhausting at times but exciting at the same time." Steve Potash, founder and CEO of OverDrive, noted that metadata has been "transforming our business," leading to better discovery and cataloguing, and allowing the company to do presales globally in schools, libraries and institutions, building "huge audiences." Potash urged the industry to sell and "do anything to promote reading, including audio and large print." Restivo-Alessi noted, too, that the book industry is "very cerebral," and as a result is "also a little negative." She said the book industry "doesn't boast enough about what it's accomplished." Laughing, she said this was unlike the music business, which tends to boast "about nothing much, frankly." 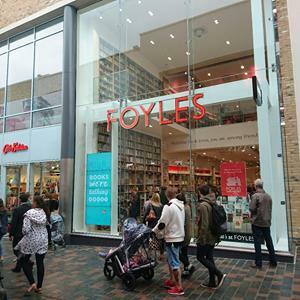 U.K. bookstore chain Foyles opened its third store outside London Friday in Chelmsford, a suburb northeast of the capital. The Bookseller offered a "first look" at the 4,300-square-foot shop, which "holds 15,000 titles set across two floors and has an in-store café, with a 'striking' double height bookshelf and balcony on one side.... The concept builds on the innovations introduced in its Bristol and Birmingham stores, which aim to create a 'physical environment enhanced by digital technology.' 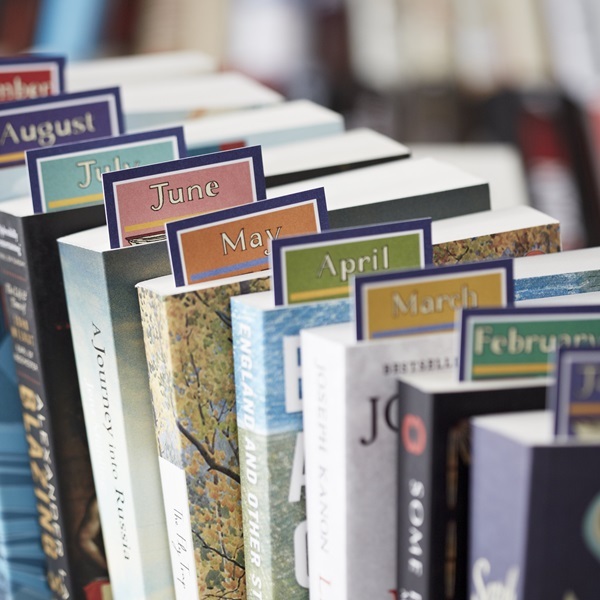 To this end, booksellers are equipped with iPads to help customers with information and requests in-store." John Browne, finance director and head of real estate at Foyles, described the new store as "a real 21st century experience where technology enhances and improves our customer service without getting the way of what readers love most about bricks and mortar shopping experience. Real books are enjoying resurgence at the moment, and we have a fantastic range of lifestyle and children's titles which we are sure will appeal to Bond Street shoppers." Gloria Naylor, whose debut novel, The Women of Brewster Place, "became a bestseller, a National Book Award winner and a TV miniseries released through Oprah Winfrey's production company," died September 28, the Associated Press reported. She was 66. Naylor's other books include Linden Hills, Mama Day and The Men of Brewster Place. Author Bernice McFadden told Ebony magazine that Naylor "gave me permission to write my truth. To rejoice, scream, cry and pray on the page. To embrace my Blackness--my womanhood and to hold both in high esteem and guard it with my life." Karl Dietrich Bracher, "a World War II veteran of the German army who argued as a historian that the German people had to take responsibility for the rise of Nazism because of their embrace of Hitler and his racist agenda," died September 19, the New York Times reported. He was 94. Bracher's works include The German Dictatorship: The Origins, Structure and Effects of National Socialism; and The Age of Ideologies: A History of Political Thought in the Twentieth Century. 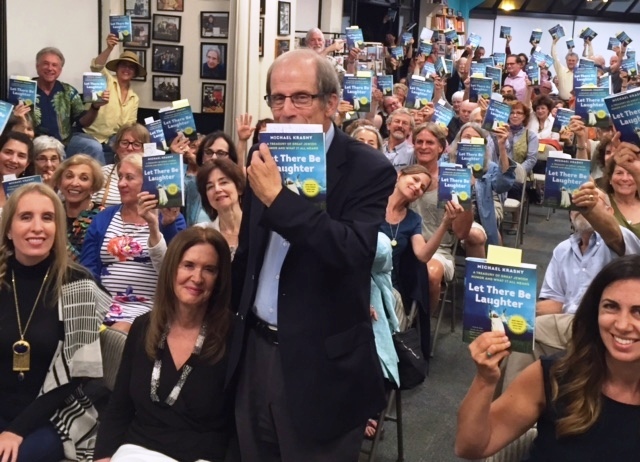 Michael Krasny, the popular Bay Area host of KQED Radio's Forum, delighted the standing-room-only crowd at Book Passage in Corte Madera, Calif., last week with his new tome on Jewish humor, Let There Be Laughter (HarperCollins). To mark its 80th anniversary, London bookshop Heywood Hill is launching the Library of a Lifetime Prize Draw, "the world's first major literary prize focused on readers of books, rather than writers. The first prize winner will receive the Library of a Lifetime: one newly published and hand-picked hardback book per month, for life, delivered anywhere in the world." "Every reader in the world will want to know about this life-changing prize," said Karin Scherer, senior Heywood Hill bookseller who works on the shop's A Year in Books program. "Whoever wins the first prize will never have to buy a book again. Instead they can look forward to a lifelong relationship with our bookshop and our booksellers. We know that our A Year in Books subscribers really value this service. Every person is different. Before we start, we will sit down with the prize winner and find out their reading preferences, and any likes and dislikes. For the winner it will be an intellectual adventure of a lifetime." The Guardian noted that several authors, including Kazuo Ishiguro, Donna Leon and William Boyd, "have already put forward their own nominations, with Ishiguro plumping for Dostoevsky’s The Devils, calling 'every character bonkers,' Leon for Vikram Seth’s A Suitable Boy because 'it’s wonderfully funny' and Boyd for Nabokov’s Pale Fire, which he said was 'unique, mind-boggling, hilarious.' "
What Is 'Weird' Worth to Small Businesses? 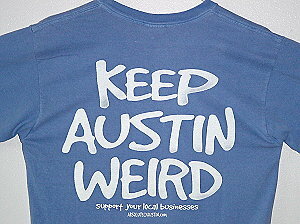 Although "Keep Austin Weird" was coined 15 years ago by librarian Red Wassenich, it was quickly "adopted when Steve Bercu, owner of the Austin, Texas, bookstore BookPeople, needed a slogan to rally objection to a planned Borders store a few blocks away. Bercu convinced John Kunz, the owner of nearby Waterloo Records, to join the keep-it-local cause. They printed 5,000 bumper stickers urging citizens to KEEP AUSTIN WEIRD and flanked the message with their business logos. The stickers flew off the shelves. And the Borders bookstore was never built in downtown Austin," wrote Elizabeth Devitt and Juli Berwald in a recent Slate piece headlined "Weird's Worth." "WEIRD resonated really well here. The point was to support local businesses. Everyone got it immediately," said Bercu, who estimates he's given away more than 300,000 stickers. In California, Bookshop Santa Cruz's Neal Coonerty adopted the idea after talking with Bercu and printed KEEP SANTA CRUZ WEIRD stickers. "We don't want to become just another gentrified suburb of Silicon Valley," he said. "The main street of our downtown is more than just an exchange of goods, it's where the community expresses itself with street artists, political tabling, and one-of-a-kind parades. We want to make sure it stays that way." Weird campaigns "have spread to communities in more than a dozen states," Devitt and Berwald wrote. "What do they all have in common? The cities have fewer than one million people, but most are growing. Many are state capitals or county seats and most have a vibrant arts scene. They all seem to have a strong sense of what makes them unique, and a grassroots urge to stay that way." Former assistant director of publicity Gregory Henry has left his position at Regan Arts and can now be reached at geehenry@hotmail.com. 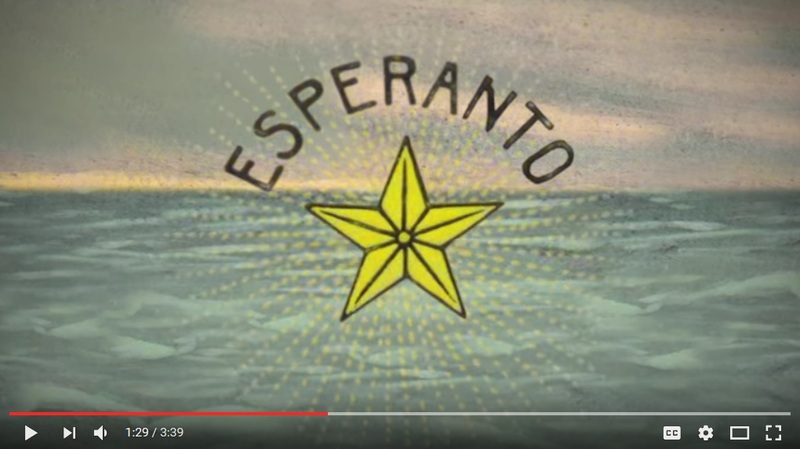 Bridge of Words: Esperanto and the Dream of a Universal Language by Esther Schor (Metropolitan Books). Diane Rehm: Jill Jonnes, author of Urban Forests: A Natural History of Trees and People in the American Cityscape (Viking, $32, 9780670015665). The View: Kelly Clarkson, author of River Rose and the Magical Lullaby (HarperCollins, $18.99, 9780062427564). She will also appear on Watch What Happens Live. The Real: Dolly Parton, author of Coat of Many Colors (Grosset & Dunlap, $17.99, 9780451532374). Late Show with Stephen Colbert: Lindsey Vonn, author of Strong Is the New Beautiful: Embrace Your Natural Beauty, Eat Clean, and Harness Your Power (Dey Street, $27.99, 9780062400581). She will also be on the Today Show this morning. Tonight Show: Issa Rae, author of The Misadventures of Awkward Black Girl (Atria/37 INK, $16, 9781476749075). Gloria Reuben (Mr. Robot) "is teaming with Cathy Konrad's Tree Line Film and Ashok Amritraj's Hyde Park Television to adapt Dean Koontz's bestselling book Dark Rivers of the Heart for television," Deadline reported. "I'm delighted to be working with Gloria Reuben, and I'm no less delighted by the team that has coalesced around her," said Koontz. "Television has become the ideal medium for long multiple-thread novels like Dark Rivers of the Heart, and I look forward to binge-watching this!" The Manhattan Institute has won this year's Sir Antony Fisher International Memorial Award for the book Disinherited: How Washington Is Betraying America's Young by Manhattan Institute scholars Diana Furchtgott-Roth and Jared Meyer. The award was presented at Atlas Network's 2016 Liberty Forum in Miami, Fla., and comes with a prize of $10,000. The Sir Antony Fisher International Memorial Award has been given annually since 1990 to an institute that has made "the greatest contribution to public understanding of the free society" through the publication of a book, magazine, report, monograph or study. 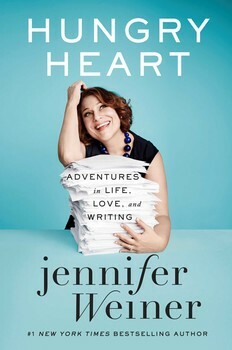 Jennifer Weiner is the #1 New York Times bestselling author of 14 novels and collections, including In Her Shoes, The Next Best Thing and Who Do You Love? 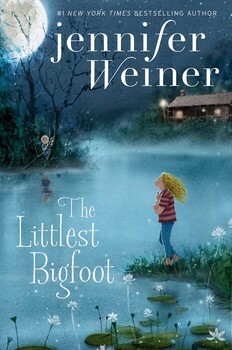 Her newest are her first middle grade novel, The Littlest Bigfoot (Aladdin), and the essay collection Hungry Heart: Adventures in Life, Love, and Writing (Atria). Weiner is a graduate of Princeton University and a contributor to the New York Times opinion section. She lives with her family in Philadelphia. Your writing career started in journalism, and you've written essays and articles while a full-time novelist; what made now the right time to publish a collection of essays? I was 45 when I wrote this book, which felt like a natural halfway point, a good time to stop and take stock. The short answer is that my publisher asked for a collection. The initial plan was for the book to be about 50% pieces I'd published before, and 50% new material, but as I began writing, I started to tell all the stories that I tell in person, in response to readers' questions: How did you become a writer? What was it like having a book turned into a movie? How do you balance motherhood and work? I wanted to answer those questions, for my readers and myself. In "The F Word" essay, you confront your daughter when she calls another girl fat. What are your thoughts on how we should be talking to our young boys who embrace that mindset? Here's the truth--I live in Girl World. I have two daughters. From September through June, I live with them, and my assistant, Meghan, and Terry, who helps with the house stuff and the childcare. During the summers, I'm in Cape Cod with my daughters, plus my mom and her partner (and my poor husband, who, I joke, will probably get his period some day if he does this long enough). I work in publishing, which is run, largely, by women. My agent is a woman, my editor is a woman, my publisher is a woman, and her boss, the head of Simon & Schuster, is a woman. My editor at the New York Times is a woman; my publicist is a woman; the producers and on-air talent of most of the TV shows I go on are women. Aside from the occasional bruising Twitter scrap, I can go weeks--months--in this utopian bubble, where women's voices are heard and respected, because women's voices are all there are. And then, occasionally, I get jolted back to reality. Like, last summer, I was invited to be part of a "chemistry test" for a network talk show. The deal was, the executives (women!) had picked two guys they wanted, and were looking for women with whom these guys would have chemistry. Given my own woeful dating history--that, and the fact that the first member of the chosen pair I met seemed to find me actively repellent, could barely make eye contact, and didn't laugh at any of my jokes--I should have just gone home. But I didn't... and so I wound up in a room, on camera, with these two dudes, who were locked in a torrid and clearly exclusive bromance. One was a former professional athlete--the kind of guy who, I suspect, had spent decades on the road with groupies throwing themselves at him. The other was a country/western DJ, who was not a professional athlete, had not had women throw themselves at him, and couldn't have been more impressed with the jock. The two of them were talking over me (and the other women who were part of the test), ignoring us, laughing at us. At one point, the former athlete rolled his eyes and said, "Oh, you the privileged white girl they sent up in here." And then the two of them had a nice long chuckle, and went back to swapping stories about how poor they'd both been. It was infuriating. It was invalidating. It was also an important reminder. There are still rooms like this; still businesses like this, still panels and conferences and television networks and Fortune 500 boards like these, where, if there's a woman, she's sometimes the only woman in the room, and if she says anything, she might be heard, or she might be ignored, or belittled, or laughed at, or sexually harassed or objectified, or she might have her experience invalidated, right to her face (I just read an essay where a woman recounted being on a panel her company put together to address its summer interns. When the female interns asked about her experiences, she said, "You can do well here, but you need a thick skin," and then the men on the panel said, "Oh, no, we all get along here," and "women are respected.") I can't imagine anything more invalidating than having men say they understand your own life and your own experiences better than you do... but I think that it happens a lot to the women who aren't lucky enough to live in Girl World. So how do we talk to boys about it? I think we start by just talking. Just the act of speaking your truth, with the implication that your female voice and your female story matter, are both important. You make sure that what you're showing your boys is what you want them to grow up believing. If you want them to believe that there is beauty beyond a 25-year-old white, blonde, size zero, then you act like you believe it, too. If you want them to believe that women's stories matter, then you read books by women. If you don't want them to judge women based on their appearances, you can't do it, and you can't surround yourself with people who do. You've stood up for your genre and in many ways are helping to change the playing field for future writers. What recommendations would you offer to minorities of any stripe who also want to speak out and make changes? There's a quote by Elie Wiesel I love that says, "We must take sides. Neutrality helps the oppressor, never the victim. Silence encourages the tormentor, never the tormented." If nobody speaks up, nothing gets better. If you study the history of social movements, you know that there always have to be those people who are willing to stand up and say, "this is wrong," and "this needs to change." Being the one who says it will not make you popular--especially if you're a woman. But if you want things to change, then you can't stay quiet. "As she sang, her voice suddenly rising strong and pure above it all.... I realised that conversations had quieted, that people around us had stopped to listen just as if Lizzie were an exhibit herself, made not of wood or iron or glass but of flesh and blood. She was an angel; she was a bird.... And then her song was done.... Time had started again, and I shook my head at my own muddle-headedness as she rejoined our small party." Although Albie is obviously affected by Lizzie's innocence and purity, his father know she's uneducated and not a suitable candidate for marriage. The group hastily parts ways and Albie doesn't think much about Lizzie until 10 years later, when he hears of her murder at the hands of her husband. Determined to discover why the man committed the crime on such a pure and innocent creature, Albie travels to the small, rural town of Halfoak, where traditions run deep and the advance of the new sciences and technologies unveiled at the Great Exhibition have yet to appear. What he discovers is a town full of myths and superstitions where the local folks are wary of strangers and conduct their business in time-tested ways that push the boundaries of reality. When his wife unexpectedly arrives in the village to share his prolonged stay, Albie begins to question his own life and ponder whether the villagers actually know more than he first surmised. 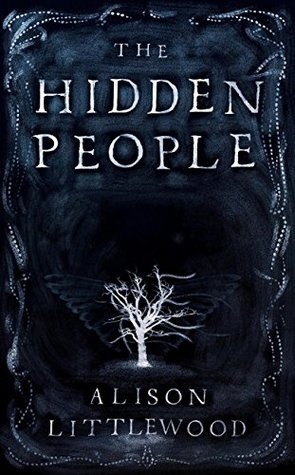 Shelf Talker: When a young woman is murdered, her cousin's investigation into her death opens a doorway into a world where changelings and fairies have not been forgotten.